It’s been a while since the last post, so I thought I’d cheat a bit and do an update with some links that I hope are of interest (I now use Pocket for this bookmarking, after a recommendation from Toby Blume). I’ve grouped them into arbitrary random themes….happy reading. Immigration and the ‘left behind’ – Flip Chart Fairy Tales is unfailingly interesting and a must-read blog for me; this delves into the statistical realities of demographic and employment changes since 2008 and much more besides…. This is a provocative (if perhaps written too swiftly after the event) piece from Charles Leadbetter too: Brexit: How systems change – or don’t Was it all down to ‘enough of a split’ being formed in the establishment by BoJo? All this tech-based internettery might not be good for our health (he says, blogging and then tweeting the post round): Is tech addiction making us far more stressed at work? The soup revolution: changing cities over dinner from Detroit to Liverpool – a great thing, having helped organise one in Plymouth. Simple, shareable, works. As one (tough) financial year passes, and another (as tough) begins, it feels like a useful time to delve into the sector’s finances more broadly. More specifically, to take a look at Big Society Capital’s report on the Size and Composition of Social Investment in the UK, released a couple of weeks back. (NB – the report was Matt Robinson’s swansong at BSC, as he leaves for international development pastures – he’ll be missed as a clear, reasoned, and principled voice). The headlines are impressive: £1.5bn worth of social investment (that’s the total value at the end of 2015, not deals done in the past year). Dealflow in the year c. £430m (which is up from the £200m figure reported two or three years back) demonstrating 20% growth or thereabouts. And some evidence of a shift from secured lending to more unsecured lending and different types of products. There is much else of interest in the report, not least the fact that this total is dwarfed by about £9bn in bonds and bank loans to charities and social enterprises, not to mention a further £59bn or so if housing associations are taken into account. An alternative version of the report could be titled “Social investment: putting it in perspective”, as some have argued for some time. Nevertheless, there are some signs of progress, and they should be welcomed. 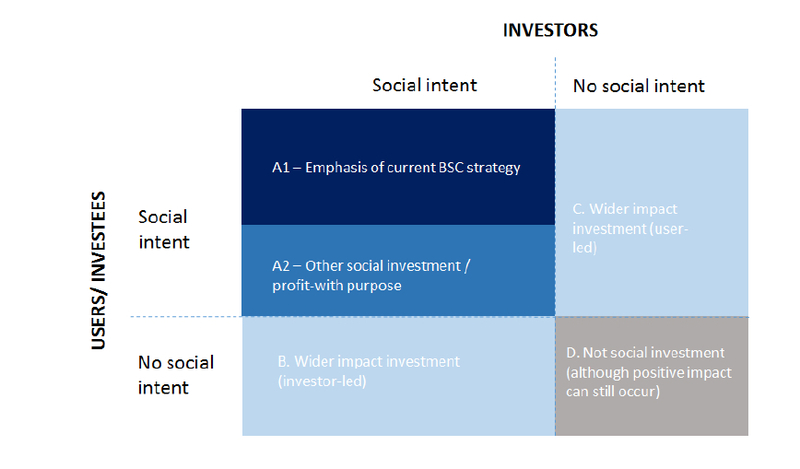 This approach to thinking more clearly about social investment and the terms we use (impact investment, ethical investment, positive investment) is a useful contribution; it also came up recently at the release of some new analysis of social investment research by Jess Daggers and Alex Nicholls – also well worth a look – as well as in the Alternative Commission report. 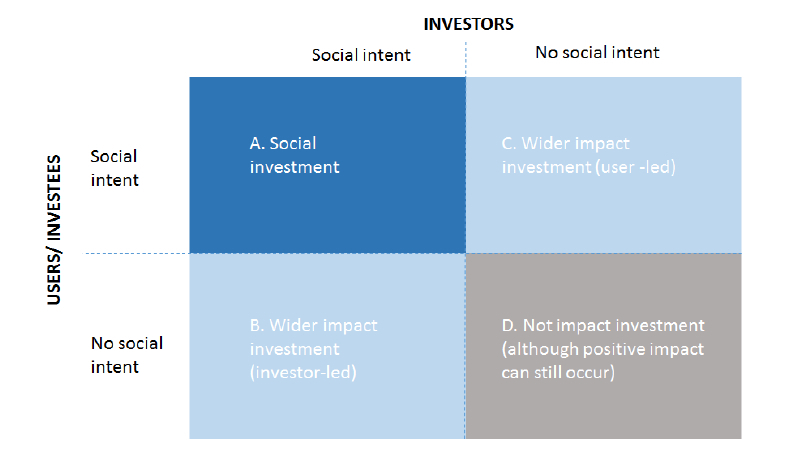 This segmentation of what we mean when we talk about different things seems increasingly important to me where social investment is concerned: so much of the heat and light and baby-bathwater debate flows from misunderstandings, often between (potential) investors and investees. 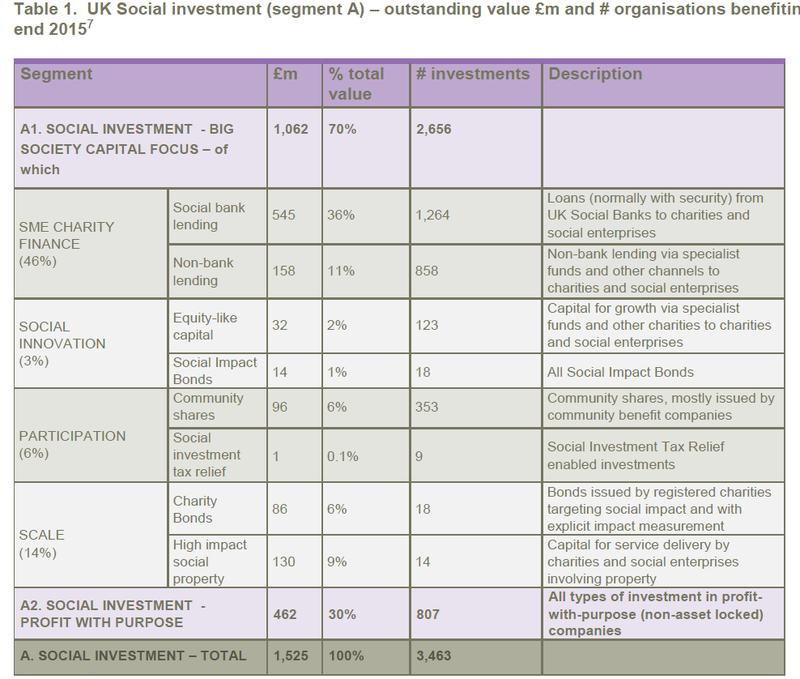 Social Impact Bonds are responsible for 1% of all social investment in the UK. 1%. Even though the report mentions that this could have been double if calculated mid-way through 2015, that would have only taken it (by my maths) to, er, 2%. If data beats opinion, as someone wiser than me once said, then let us hope that due notice is given to this figure – community shares are responsible for 6 times as much; charity bonds 6 times as much (from the same number of investments), unsecured lending 10 times as much etc. Social Investment Tax Relief-related investments are small but there’s been some decent progress in year 1; it will be interesting to see if they can grow as fast as Community Shares, and add to the ‘democratisation’ and ‘retailisation’ of social investment: 353 investments in total for community shares, involving thousands of people. I’m sure that the data isn’t perfect, and I’m sure Matt knows that too – indeed, he has some excellent recommendations on how to continue to get better with the data and reporting. More transparent reporting like this will also help eliminate duplicates (eg. with co-investees arranged by a broker) more comprehensively, and also create benchmarks that can allow for better understanding of progress. 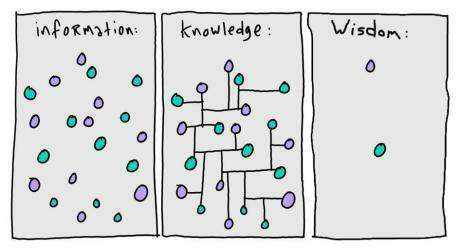 I’ve learned whilst being in charge of the State of Social Enterprise survey, that improving the data and the questions is an incremental process and one which is best improved by openness (see our report for Access, Prospecting the Future, for example). – Martin Wolf writes in the FT about how A more equal society will not hinder growth – he bases this on a note from the IMF (pdf) which, to quote Wolf, found that “societies that start off more unequal tend to redistribute more; lower net inequality (post- interventions) drives faster and more durable growth; and redistribution is generally benign in its impact on growth, with negative effects only when taken to extremes”. I think this (and Wolf’s further analysis) is fascinating – in a sense, at the heart of the social enterprise movement is a belief that business can reduce inequality, increase social justice, and help everyone prosper. The IMF might just be backing that up. And the analysis could not be more relevant in the UK where growth headlines don’t tell the full picture. – There is more on inequality here (via @JeremyANicholls) on the Public Leaders Network: The 2014 budget fails to deal with the deeper issues of inequality in Britain which talks about the OECD pointing out that the austerity implemented may be having good overall economic effects in the short-term (as per growth headlines mentioned above) but be storing up trouble and cost in the medium to long-term. – Stephen Miller, Senior Researcher at UnLtd, has been taking a look at neolilberalism and social enterprise on his blog. It explores the relationship of civil society and the social sector to business paradigms, and what effect the current financial / economic climate might have on social enterprise, social entrepreneurs, charities et al: “Is there a danger that good ideas are left on the roadside because they aren’t in vogue, or because they can’t generate substantial financial return?” and “There is an argument to be made that, actually, the retraction of the State from civil society just displaces dependence, rather than creating more independence”. Well worth reading part 1 too. – More geekily / narrowly, I was interested to read David Ainsworth’s take in Civil Society on the new Social Investment Tax Relief and how it might play out – he points out that there might be some gift and loan scenarios that make it an exceptionally good deal for lenders….much more so than those getting the investment? – Meanwhile, this wouldn’t be a blog about economics if it didn’t feature Piketty (review in the Telegraph of his book, Capital), who is so de rigeur as to already be a cliché. Piketty also argues that capitalism as it is leads to inequality, and that the evidence for this is overwhelming. The response from the right I’ve most enjoyed on this has been Janan Ganesh’s call for ‘rational optimism’ and the Conservatives introducing a property tax – an unlikely prospect, perhaps, but interesting reasoning on the way there. – And a final non-economics, non-equality one, but one that will undoubtedly be more useful than the rest, and usable tomorrow! – 7 rules for meeting up. I love these. Now if I could just stick to them…. A couple of weeks back, I was on a panel at the Good Deals conference – it was an interesting and informative event, and Matter & Co had done wonders on the pricing (day 1 free, day 2 very reasonable) for social enterprises + charities. As David Floyd has pointed out since, this had some effect, though perhaps not as much as I expected. There is still a divide to be bridged clearly, be it of language, jargon, perception, location or relevance – there just simply weren’t many frontline practitioners there. The panel I was on was looking at something that is both a hoary old subject and one of increasing current relevance: the definition debate. The premise was that social enterprise as currently defined (mission in governing docs; 50%+ income from trading; 50%+ profits reinvested / gifted to social mission; controlled or owned in interests of social mission; transparent in how it operates / reports impact) is not fit for this ‘brave new world’ of social investment. Primarily, this is based on the assumption that, because most social enterprises can’t give equity, they can’t get access to capital to grow or give investors exits in the same way. Which limits both their potential to scale impact, and the investor appetite and ability to get involved. See James Perry’s (good) recent piece for this argument expanded. I do think there is a definition debate – but it is not about ‘what is a social enterprise?’ – that’s pretty much agreed; as I’ve pointed out before, there’s very little difference between ourselves, the SE Mark, SENSCOT’s code etc. on this. The definition debate is actually about ‘what is a social venture?’ or ‘what is a social business?’ I asked this at the event, and got no answers – did it mean they were companies limited by shares, but with their social mission in their governing documents? Did it mean they had committed to operating ethically and transparently reporting their social impact? Did it mean they had committed to giving a proportion of their profits to the mission, rather than shareholders? It is entirely unclear how they differ from a standard business, apart from in most cases (for now) the ethical values and purpose of the founding social entrepreneur. This question has led to a discussion about ‘trust engines’ or ‘commitment devices’ which can provide trust to a customer (be they public sector, private sector, social sector) that they are really ‘social’. I also asked at the event if anyone could give me any examples of trust engines or explain what they are – no answer again. I’ve heard differing things – some have told me it’s about mission lock; some about reporting; some about what they do with their profits; some say it’s all three. Interestingly, none of these are anything new (they are all part of the social enterprise definition). Worryingly, one social entrepreneur running a social venture said on video that her ‘trust engine’ was “my personal integrity“; another told us that they would “go to the press” if the investors tried to change their mission. This isn’t encouraging, when these organisations are receiving public money and publicly funded support. 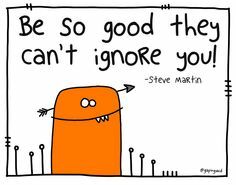 None of this is about social enterprise being ‘better’ than anything else; or necessarily saying that they do all of these things (reporting, reinvestment, operations etc) perfectly. But it is about knowing what we are talking about on the spectrum – blurred lines don’t build trust. If government money and social investment are going to flow to these organisations, rather than social enterprises and charities, should there not be demands on them or standards they have to reach / aspire to? Otherwise, how can we tell them apart from any other business, apart from some nice words? It’s been noticeable that Treasury seems to be going for regulated social sector organisations (namely CICs, BenComms, charities) to qualify for its tax incentive – even companies limited by guarantee (a non-dividend, non-shareholder owned structure) with a social mission enshrined wouldn’t qualify in that scenario. And yet we read articles about how ‘trust engines might be the answer’ to the tax relief? How, when we don’t even know what they are? It’s on a spectrum between baffling and mythical. There is something even more critical at stake here – social investment wholesalers and intermediaries are under increasing pressure to ‘loosen’ up their criteria so that they can invest in ‘social ventures’ and ‘social businesses’ (no, we still don’t know what they are). In some cases, this is money that has been *explicitly* ringfenced and set aside for investment into social enterprises and charities. And yet, because “the structures don’t work” or because “there isn’t enough pipeline“, we apparently have to widen definitions and broaden the scope. Rather than continue to innovate and improve the financial products to suit social enterprises and charities (who might have chosen those structures for good reasons of governance, transparency, community ownership and much else besides), or work to find ways to reduce rates of return or its price, there is instead a rush to suit the models to the finance. As Nigel Kershaw of Big Issue Invest might say, we are at risk of forgetting that the finance is a tool – it is a means to an end. It’s a curious state of affairs – we are told that social enterprises can’t achieve scale; but two of our members between them (both charities / companies limited by guarantee) have raised twice as much social investment in external bonds this year than Big Society Capital has got out of its doors in total in its entire existence; the first six-figure investment of a new forthcoming energy-related social investment fund isn’t a company limited by share – it’s a CIC which has successfully raised several million pounds from a wide variety of investors. Community share offers are flourishing up and down the country, largely under-the-radar, quietly achieving great things in local areas through local ownership. Our own Social Investment Deal of the Year nominees demonstrate how social investment can provide appropriate finance to social enterprises and charities who need it – when the financiers have alignment of mission, and when the partners work hard to innovate and develop models that work. It’s also a curious argument and position to take at a time when public trust in shareholder-owned, profit-maximising organisations is arguably at an all-time low (be that in banking, energy, or public service outsourcing). What we don’t need right now is woolliness and blurriness that confuses and doesn’t build any trust: the opposite is true. We also don’t need to divert money away from charities and social enterprises who badly need it, just because social investment isn’t working as well or as quickly as people might have hoped to start with. If I’ve learned anything in this sector in the last decade and more, it’s that things generally take a lot longer than we think – a little patience wouldn’t go amiss right now; nor would a little robustness and rigour. If the easy path was always the right one, we would all be doing something different. This also isn’t about ‘purity’ or, as I read recently, being ‘cultist’ about social enterprise, as opposed to being ‘big tent’ (though I’m yet to see the evidence that those proposing social ventures / social business are larger in numbers…). I’d actually welcome a more rigorous definition of social ventures, so that we could more proactively advocate for what they do – they might not be able to join us as members as things stand, but obviously we would be hugely supportive of more businesses locking in social mission, reporting against a triple bottom line. operating ethically and transparently, and so forth…than not. Then you might get to a big tent of social enterprises and social ventures side-by-side, some suited to some areas (eg. NHS / public service delivery where public trust is paramount, so social enterprise is more appropriate) and some to others. Agreeing to disagree in some areas, but broadly aligned on how business itself needs to change in the round. But there is much work to do to get there – and we need to focus on the right definition debate.